Almond milk has been popping up in a lot of stores lately. Meghan has on more than one occasion suggested that we ought to give it a try. I admittedly have been somewhat resistant. 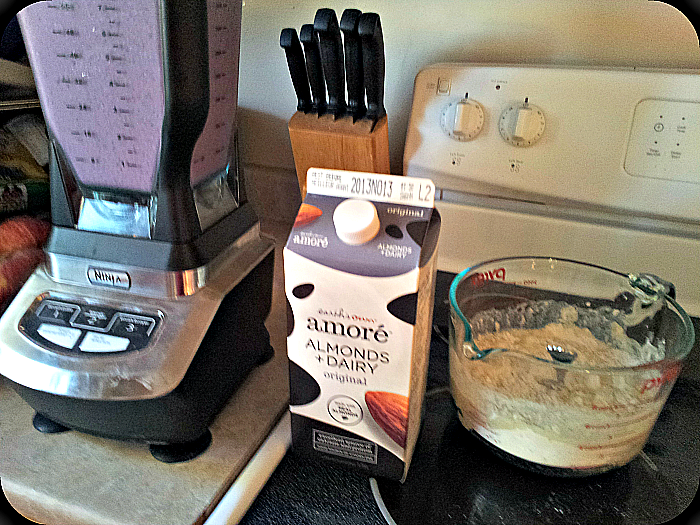 But when the good folks at Amore Earth’s Own asked if I wanted to give their Almond + Dairy a try I said ‘yes’. On the side of the Amore Almond + Dairy carton there is a list of all the things this drink can be used for. They are; By the Glass, In Coffee, In Cereal, In Smoothies, In Baking. As A Drink– I am not sure what I was expecting almond + dairy to taste like. I guess I expected that it would either a) taste like almonds or b) taste like milk. It doesn’t really taste like either. I was surprised to find how sweet and creamy it was. Right out of the cartoon into a glass was a hit with my family. Simeon and Ariella were all ‘yums’. In Coffee- After drinking Amore straight I was a little nervous about putting it in my coffee. I gave up sweetening my coffee a little more than a year ago and I have moved from cream to whole milk. Amore seemed creamier and sweeter than the milk I was used to putting in. I was surprised. Amore has a lower fat content than whole milk so my coffee was less creamy than I had expected, and the sweetness didn’t really translate. All and all I would say Amore made a fine coffee additive but it didn’t add the flavor I thought it would. In Cereal– I used Amore with my morning cereal. It is a flake cereal with dried strawberries. The Amore added a very nice very rich flavor. I noticed the sweetness of Amore right away and my first thought was ‘Amore would be a great substitute to adding sugar to cereals.’ As a kid I always loaded load the sugar on my Rice Krispies, with Amore Almond+Dairy I wouldn’t have needed too. 4. In Smoothies- I am always looking to jazz up the taste of our smoothies. I was ready for my smoothie to be rocked with Almond Dairy goodness. Instead I ended up with a very subtle flavor that struggled to compete against the powerful flavors of banana and blueberry. We normally sweeten our smoothies with honey but Amore was all the sweetness it needed. I would definitely add this to my smoothies again. 5. 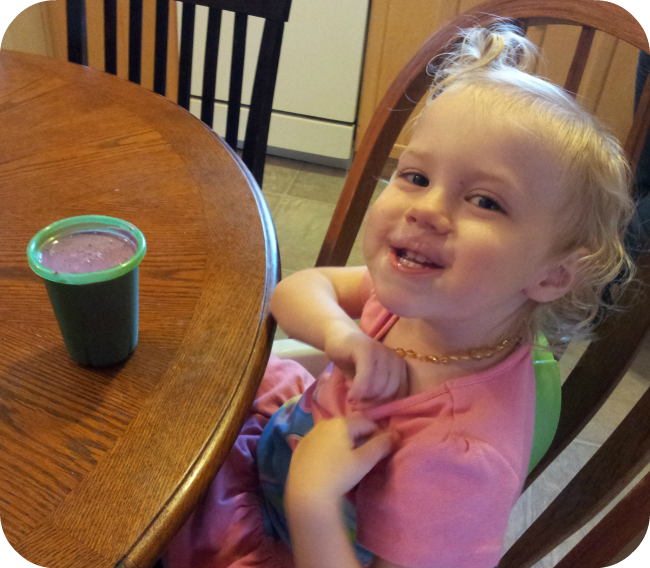 In Baking- Since we were going to have smoothies I figured we might as well have crepes too. I used an old family favorite crepe recipe and subbed out regular milk for Amore. The crepes came out great and tasted very good. Again like the coffee and smoothies the taste change was quite subtle but a good one. We ate up every crepe and were happy with our experiment. 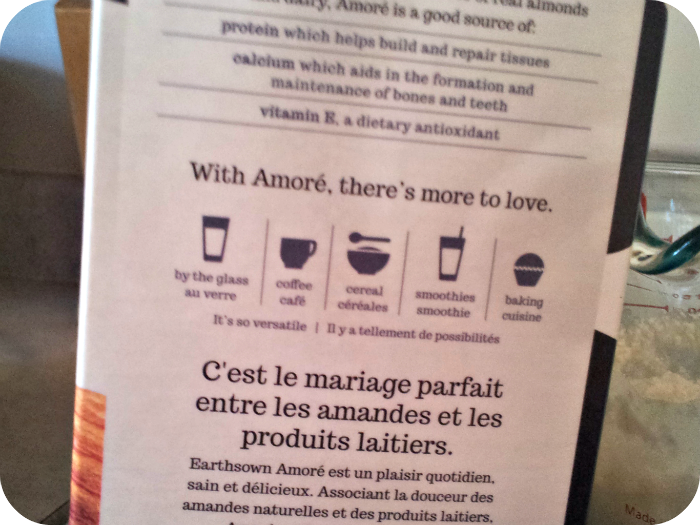 In Conclusion– After trying all five of Amore Earth’s Own’s suggested usage for Almond + Dairy I agree with them. They are all good uses of Amore. My personal favorite is on my cereal followed by in a smoothie. If you have been curious about trying almond and dairy beverage Amore Earth’s Own Almond + Dairy is a great product to try. You can check them out here on their website, and here on their Facebook page. If you are interested in trying out Amore I have a one free to give away. Comment on this blog, of share it via Facebook/Twitter for an entry. I will announce a winner Friday afternoon. Simon has been drinking almond milk since he was old enough for milk. 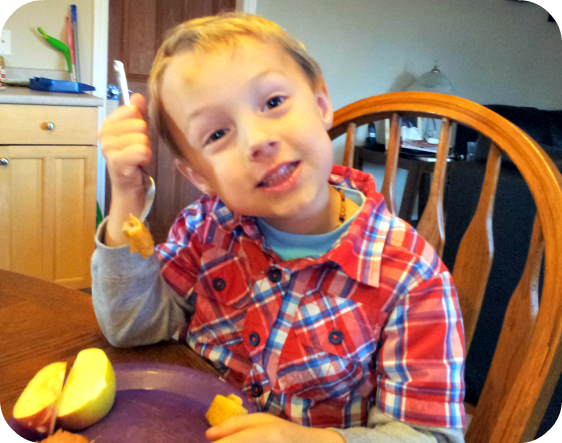 He had a dairy allergy until he was almost 4, and drank soy or almond. Now that he is no longer allergic to dairy, he could have cow’s milk, but doesn’t like the taste. I have always purchased the Silk brand in unsweetened, but maybe I will get a carton of Amoré next time. Do they have an unsweetened version? I do NOT like the taste of soy milk, but don’t mind the almond. Thanks for the review! I love almond milk, it almost tastes too good to be good for you 🙂 surprisingly, my kids didn’t love it, I guess when they want milk, they just want it to taste like plain old milk. I need to start buying it again, for me!